Designer Kitchens aim is to satisfy all traditional and contemporary Kitchens. German Kitchens are renowned for their efficient, modern look. Their simple, yet elegant units are unique as they offer sleek and clean look. 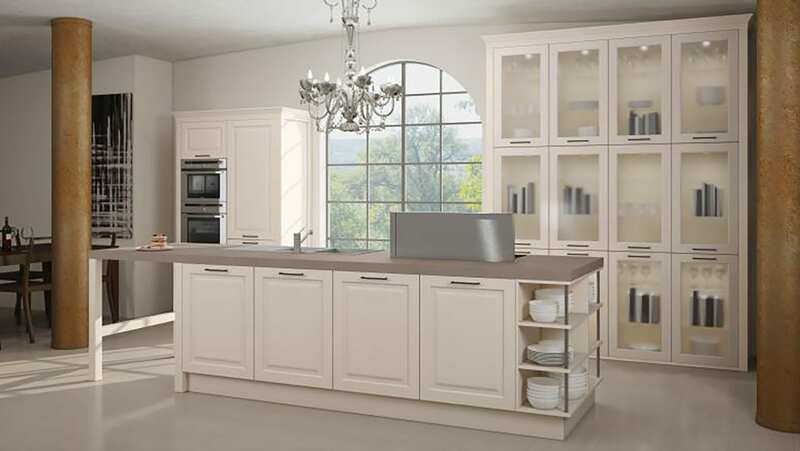 Typically, German Kitchens are designed to function efficiently and simplistically. The drawers open softly and smoothly, this creates an ergonomic and beautiful feel. German kitchens usually have a self-closing mechanism, this allows the drawers to close slowly, allowing the kitchen units to never damage when closing. As well as this, the self-closing looks brilliant. German Kitchens offer a variety of textures, patterns and finishes. Diversifying from gloss white, matt black, gloss wood, stainless steel and many other textures and materials. The Streamline design will allow any material to look luxurious in your home. At Designer Kitchens we stock two of the best German manufacturers which you can view here, Rempp and Bauformat. German Kitchens also benefit the size of your kitchen. With their elegantly smooth design will allow your kitchen to look more spacious, organised and beautifully simplistic. To gain optimal space, you may choose an L-shape kitchen in a German style. German kitchens benefit this layout due to the natural efficiency and organised layout of the kitchen style. German kitchen have beauty in simplicity. Their design not only benefits your kitchen specially but also aesthetically. They are efficient in the materials used as well as the design. With the self-closing doors. German Kitchens are a long term investment. They look stunning in any layout and colour, which allows you to design the kitchen in any way you want, with perfect integration!